Douglas Gelber DMD, LLC Hackensack Dental Assoc. Conveniently located across from the Hackensack Police and Fire Department. 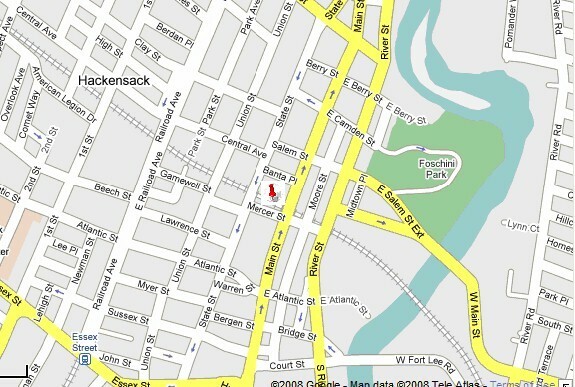 We are just past the Hackensack Post Office with FREE unlimited parking and easy access. Hackensack, Paramus, River Edge, Oradell, New Milford, Dumont, Bergenfield, Haworth, Closter, Bogota, Creskill, Demarest, Rutherford, Maywood, Emerson, Hillsdale, Carlstadt, Tenafly, Wood-Ridge,Glen Rock, Fair Lawn, Maywood, Moonachie, East Rutherford, Teaneck, Saddle Brook, Lodi, Wallington, Washington Township, Teterboro, Midland Park, Park Ridge and Fort Lee, NJ with quality dental care.